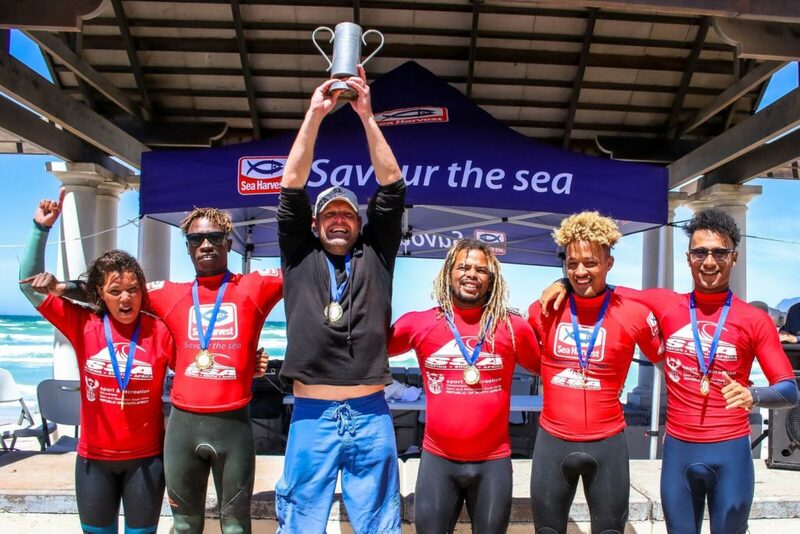 SWOT Surf Club successfully defend their title at the 2018 Sea Harvest Interclub Championships in Muizenberg. Sunday February 25th – The SWOT Surf Club made history at Surfers Corner in Muizenberg today when they successfully defended their title at the Sea Harvest Interclub Surfing Championships. The locally based community surf club earned the right to host the annual event at their home break when they won the title at Seal Point in Cape St Francis last year. Current South African Champion and National Team member Brandon Benjamin was the stand out surfer in the SWOT Team which mastered the tough onshore and windy conditions at Muizenberg Corner. Their efforts paid off and they edged their rivals from across the mountain, Kommetjie Surf Club, into second place by a mere two points. The team was led by Danielle Powis, who married the club coach, Mark, last Saturday. The side included her brother Craig Johnson, Benjamin, Papi Makanyane and Dillon Fernandez. The “Surfers With Original Talent”, which is the full name of the Club, once again showed that team spirit, good organization and hands on coaching plays a vital role in Tag Team competition. Their victory means that the 2018 National Interclub Championships will be hosted at a by them in 2019. Twenty teams representing sixteen surf clubs from as far afield as Johannesburg and Durban participated in this annual club get together which has grown in numbers over the last seven years. 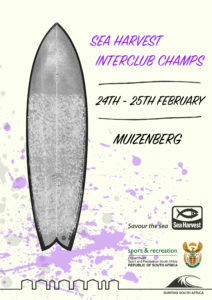 The South African Interclub Championships is a Surfing South Africa event made possible support from Sea Harvest and Sport and Recreation South Africa.